Although it may not seem too big at first, it has meant a lot to the way the Sims was advertised in international media. Where SEE advertising used to make all commercials and do the marketing for EA, including the Sims (2), EA announced that as of April their contract would not be renewed. Well after the contract had expired, late May, it turned out W+K (Wieden+Kennedy) would be contracted to do the advertising for the games of EA. Instead of the usual one-way commercials on TV and such, W+K launched the "Sims Played By" campaign late 2005, in which fans of the game tell their story about the experience they have with the Sims 2. Fans from all over the world were actually involved in the marketing campaign. 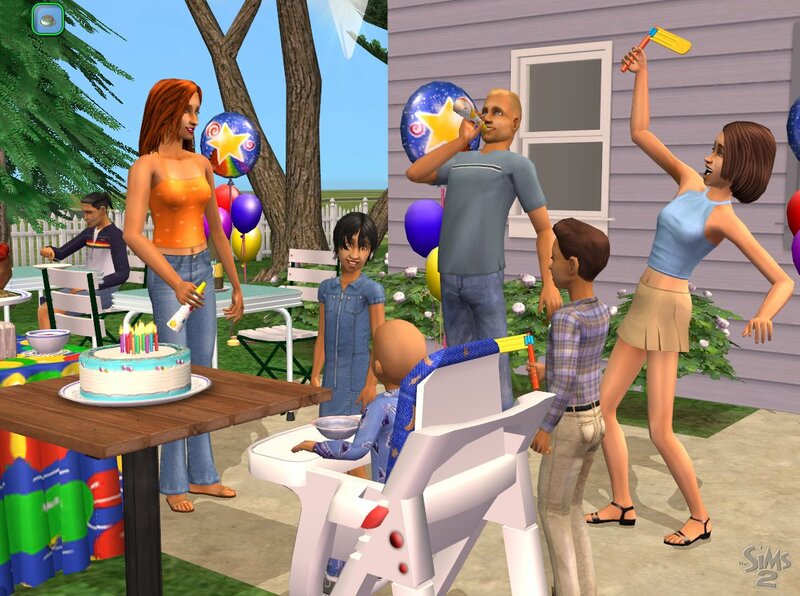 The Sims Online has never been too popular, but it hasn't died yet either. This was shown by some new gameplay that Maxis made for the game. A new city, "Betaville," was opened. Rather than controlling just one Sim, as usual in the Sims Online, more of the traditional gameplay was brought into the game by allowing players to create a family of up to four Sims, to run or ruin. This also meant that you don't have to control your Sims - they would be given free will too, just like the original Sims game. In January the prototype was launched, and later in the year it turned out to be successful enough to be a keeper. Betaville is still running today, with many families living in the city. As soon as the Sims 2 came out for PC, hackers started figuring out how the game worked, and how it would be possible to change the behaviour of the game. Changing the shape and colour of objects is something that received quite a high priority. Changing the textures for objects was made possible by fans fairly quickly after the release of the game, and in January Mod The Sims 2, one of the major fansites for information and discussions about hacking the Sims 2, launched a closed beta for an application that changes the mesh of objects. It started off fairly basic, but in a year time a lot of the development has been continued and now many original downloads are available that bring a new shape to a known object. This kind of development will resume in 2006, without a doubt. February was a month with many interviews with Will Wright, and naturally many screenshots and information about The Sims 2 University. In an interview with the official UK site, Wright spoke about Spore after a long silence regarding the game. Although Will gave no details, he did tell that he moved out of Walnut Creek to Emeryville with his team. Maxis is now spread over two locations, EA Redwood Shores (where the headquarters of EA are situated as well) in Redwood City, and the studio in Emeryville. Walnut Creek, where Maxis used to have its office for a long time, was no longer known as the home of Maxis. Despite that the announcement of The Sims 2 Nightlife that was printed on the inlay of the Sims 2 University, EA asked us to take down an image showing that. 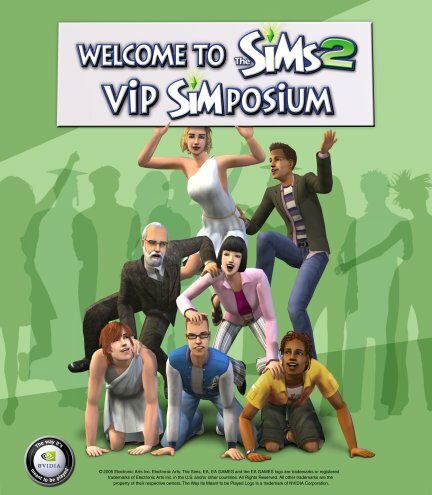 Nevertheless it was considered official: the second expansion pack for the Sims 2 had a name, and the first bit of information was known as well. "Nightlife" would let your Sims go out downtown. There was no official press release about the game until April, nor any screenshots or other information, but nevertheless fans already started speculating about what would be in the game exactly quickly. Some thought it would be a plain copy of "Hot Date" for the Sims 1, but it turned out to be quite different after all, with items like cars, bowling alleys, and more. Time flies when your having fun. The Sims had been a major success since the original game came out on PC, and 7 expansions later, a sequel on the PC, and an expansion for that game close to being released, 5 years had already passed. In those five years the game won several awards, Will Wright was placed in the AIAS Hall of Fame, the Sims was the best selling PC game ever and the Sims 2 was trying to get there too. EA had shipped 4.5 Million units of the sequel already, compared to 16 Million of the original (and many more of the expansion packs as well). The first five years of the Sims had passed, and it's not unlikely that there will be at least 5 more. March was a fairly quiet month when it came to Sims-related news. University had just been released for PC, and the E3 was still too far away to already start the marketing campaigns for new games. Still, Aspyr was busy porting the Sims 2 to the Mac. Although initially they had hoped to release it in May, it had to be delayed to June - 8 months after the PC edition - as it couldn't be finished sooner. That turned out to be little of a problem though, and by now the first expansion pack has also been released on Apple's platform. In February Maxis invited several fansites to come and see The Sims 2 University, just before the release, and of course to meet the Maxoids creating the game. Will Wright, who came up with the idea of the Sims, was at this SIMposium as well. The Sims Zone got the opportunity to hold an exclusive interview with him. He talked about the community, his role in the current development of the game, the E3, but also his view on the name of Maxis. Wright said that the logo of Maxis - the brand - has a lot of value in bringing a certain identity to a game. As a company, he thought that the distinction between Maxis and EA would be blurred more over time, with people moving about between several projects. It's one of the personal highlights of the month. Although not really about the Sims, but more about the other project Maxis is working on, Spore was shown on the Game Developers Conference in February. The first information didn't appear until March though, when websites started posting previews and information about the new game, including some screenshots. A completely new game, in which you can take creatures from micro-organisms to aliens on an other planet, would come from Wright's hands. Next stop for the game was the E3 in May, until then there was total silence again. Written at 18:22 on Saturday 31 December 2005 by ChEeTaH.